Alley has had the privilege of working with the Freer|Sackler Gallery to bring their collections online. Using access to The Museum System (TMS) databases, we built an open-source WordPress plugin to sync their collections into WordPress. These objects were then replicated in Elasticsearch, making them searchable via facets and other advanced options. 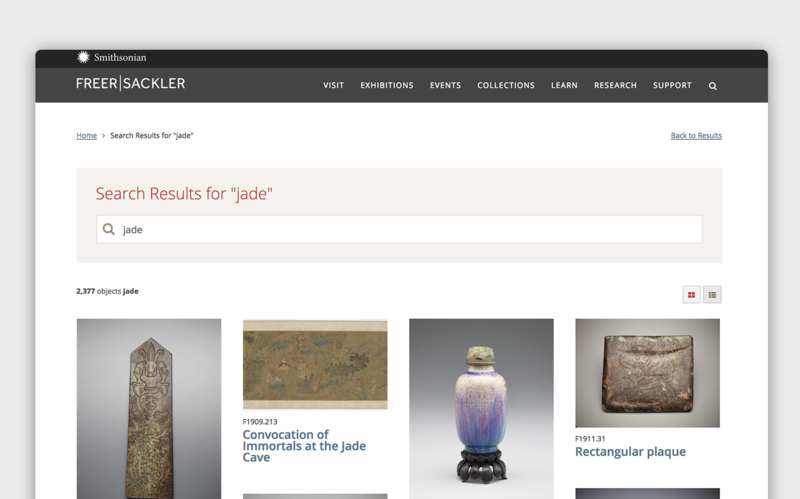 We leveraged this plugin and data in creating the Freer|Sackler Alexa Skill, which made its debut at Museums and the Web 2018 and the American Alliance of Museums Annual Meeting.